For today’s skill session, we’re going to bring it back to basics for all levels. Both movements will focus on isometric holds in order to reinforce good positioning/mechanics. 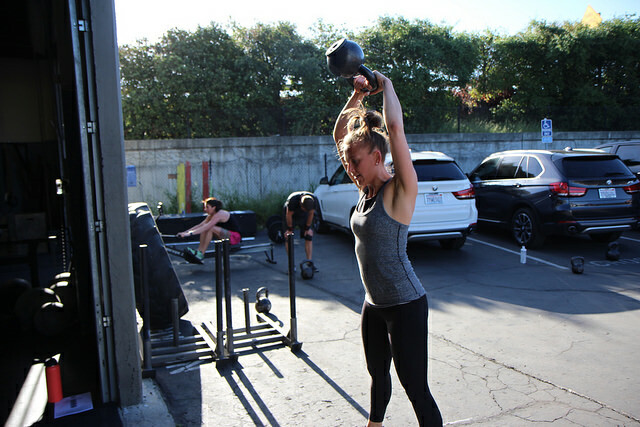 Pick a version of each movement that is challenging yet you are able to hold for at least 20 seconds. As for your main workout today, this is similar to the Saturday workout we had a few weeks ago. It’s an interesting workout where the runs are sprinkled in at places where we don’t usually place them. If you did the similar workout a few weeks ago, this will be a chance to know what to expect and manage your heart rate appropriately. Otherwise, just be cautious as to not fall into the “oh it’s only 3 rounds” trap as each round will take roughly 5-7. As an option for those that would like, there is a fun little complex for you guys to give a go. Complexes are great to work different portions of the lift and then put it all together. 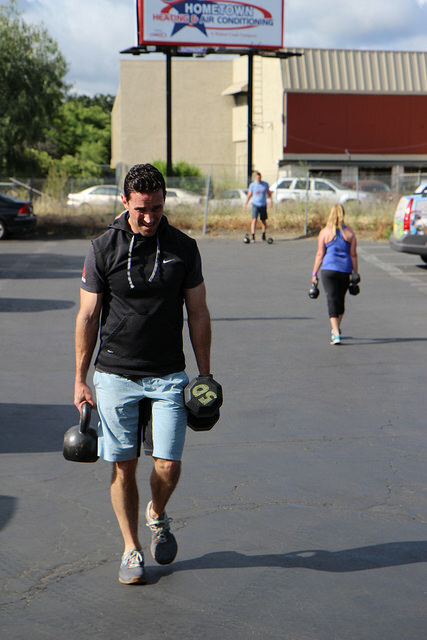 In this case, your power clean will have you focussing on using your legs to drive the barbel. The hang squat clean will give you a chance to focus on the top half of the lift, then you’ll put it all together during the squat clean where you’ll focus on driving with the legs and getting nice and tall once you pass your knees. For your finisher, the movements are relatively simple so all you guys have to do is focus on managing your heart rate and muscle fatigue. Although the movements are fairly simple, please take care on busting out those “Instagram” worthy push ups! Today you guys will get a chance to dial in some rope climbs without having to deal with them during a metcon, or when you’re fatigued. The reason I included dead hangs is to build grip endurance as it takes a good chunk of time to climb all the way to the top of the rope. The single arm rows will give you guys an opportunity to work on single arm strength to mimic the hand over hand motion as you ascend the rope. Just a quick note about your finisher for the day, each 70m portion of Part B will count as 2 reps (1 rep for each 35m) as to entice you to try and get back to the fence or back if there is little time remaining! So when the clock is ticking towards the end, don’t be afraid to get out there and get that extra rep! Name of the game will be managing your heart rate and staying consistent across the boards rep wise. You’re only work requirement will be the sled push, so just put in the work you’ll be proud of during the rest of the movements! I wanted to introduce a new format for squat days. Using the EMOM format, my goal is to use a sort of “prescribed” rest for all levels. This is to ensure that everyone is getting the same stimulus during our squat sessions. If you want, you can still work with you buddy, but try limit your groups to a maximum of 3 people. In doing so, will allow you to get your weight changes in during he allotted time. As for your finisher, the name of the game is “grunt work”. It’s good ol’ fashioned pick something up and move it! Nothing fancy to this one, but it’ll still be a good challenge since we don’t normally incorporate this long of a farmer carry. Enjoy! My goal is to keep each round roughly in between 3:00 to 4:00. It might seem like a lot of rounds, it is, but the volume is low each round to keep you guys moving! This is a good time to practice those mind games to keep you going. As for the version of squats you should choose to do, pick a version where you can come in and get all 8 reps completed every round.